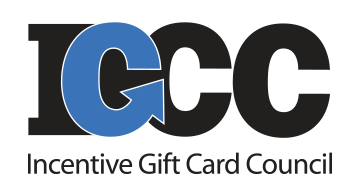 The Incentive Gift Card Council (IGCC) is a Strategic Industry Group within the Incentive Marketing Association (IMA). IGCC member companies are the elite among retail, catalog and performance improvement agencies, offering cards and certificates that can be redeemed for merchandise, travel, food, accommodations and services. Imagine being able to conveniently motivate your employees, clients, customers and business partners with a selection of more than 100,000 incentives! Gift card awards are the perfect means to do so. IGCC members provide all products and services needed to successfully design, print, package and implement highly successful B2B or B2C gift card programs. The Incentive Marketing Association (IMA) champions the use of incentives and recognition to improve business performance. The IMA connects Strategic Industry Groups comprised of leading companies across the reward and recognition marketplace to create a unified voice and growth for the $90 billion incentive industry. IMA members translate the latest research into actionable results and provide businesses with the leading brands and services to help improve performance and increase employee and channel loyalty.